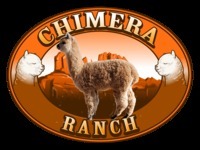 Hill Country Alpacas and Eye of the Needle Ranch is honored to own EON Max Factor. Max is an amazing male. He has done very well throughout his show history. Max has very long staple, growing over 5 inches each year holding his fineness and density with very low ratio of primary fibers throughout his blanket. As you can see from his pictures he have amazing coverage and bone as well as a beautiful head.